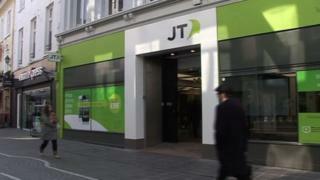 Broadband speeds are expected to be slower as a result and telecom company JT said it could take up to a week to repair. The company said engineers have already been dispatched to repair the cables. All communications traffic from JT, the main operator in Jersey, is going through a single link to France. JT says insurance will cover the cost of repairs and if they are able to track the ship then the owners insurance will pay for the work. Daragh McDermott, Director of Corporate Affairs for JT, said: “With all traffic now using this connection, customers may notice some impact on services. Mr McDermott said repairing the cable would be a “tricky tricky job” involving engineers going out in heavy winds to remove the cables from the sea and splice them back together.